If you’re a researcher collecting data, what steps are you taking to keep that data safe? How have you organized it so that you can efficiently share it with colleagues or train new research partners to use? 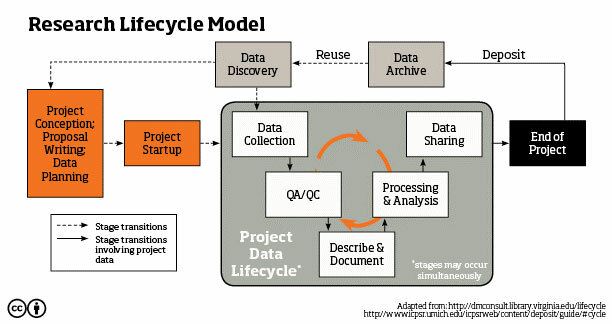 What do you expect will be the useful lifespan of your research data? For the last three years, Collins Memorial Library has hosted summer workshops focusing on research data management and curation and invited students and faculty to come together to answer these questions. Over the course of these multi-day workshops, participants take a hard look at their current data wrangling strategies, learn about best practices for data management, and come away with some solid plans for upgrading their approach to handling their most valuable research asset: their data. In 2019, Puget Sound students and faculty in chemistry, and those who conduct ethnographic research, will have an exciting new opportunity to travel to Portland, OR to attend data management workshops specifically addressing their particular data management needs. Data management workshops at Puget Sound have always been open to researchers collecting any type of qualitative or quantitative data, and students and faculty from disciplines across campus have attended. They were developed by science liaison librarian Eli Gandour-Rood, based on a curriculum developed in 2015 in partnership with other science & data librarians from colleges across the Pacific Northwest, supported by a grant from the Northwest Five Consortium. Recently, librarians at Lewis & Clark College in Portland, Oregon secured a grant from the Institute for Museum & Library Studies to support additional collaborative work for local science and data librarians to develop a curricular model for research data management and data information literacy within two specific disciplinary domains: chemistry and ethnography. Eli will be representing Collins Library on a team of science librarians from Lewis & Clark, Reed, Willamette, and Puget Sound to create these “data in the disciplines” workshops, in partnership with external consultants with domain-specific knowledge about the data curation concerns & challenges faced by chemists & ethnographers. The first workshop will be focused on research data management in Chemistry and will be held at Lewis & Clark College on June 6th and 7th, 2019. There will be full funding for a team of faculty, summer research students, and librarians from Puget Sound to attend. The 1.5 day workshop will both advance the data management and curation skills of the faculty & student participants, and tap into their expertise. The first day will focus on data management best practices & skills, while the second day will be structured around collaborative development of an outline for a data literacy curriculum module that could potentially be brought back and incorporated into a chemistry curriculum. The second workshop, yet to be scheduled, will take place in Fall 2019 at Lewis & Clark College. It will focus on the data curation needs of researchers doing ethnographic research or similar work with human subjects, such as those involving interviews, or oral history projects. This entry was posted in Arts/Humanities, Social Sciences & Science, Social Sciences & Science. Bookmark the permalink.